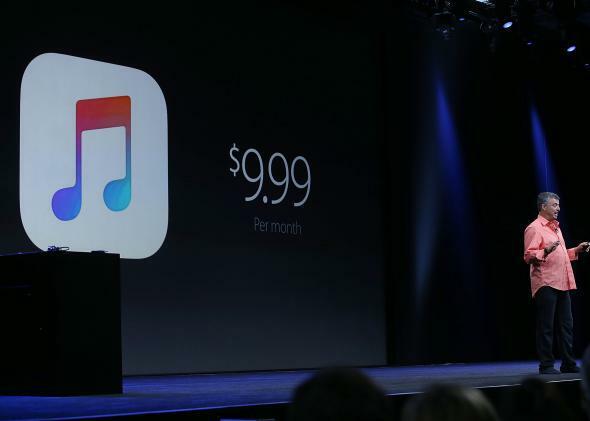 Apple royalties: Apple Music will pay more than 70 percent of monthly fee to music owners. Trust us, music owners, it’s going to be okay. Apple is going to give labels, publishers, and other music owners over 70 percent of revenues from its new music streaming service. Last week a leaked Apple Music contract suggested that the company was only going to pay out 58 percent of its revenue in licensing fees. This didn’t go down very well, especially considering Apple is not going to pay music owners anything for the songs played during the three-month free trial following the launch of Apple Music in June, according to a Re/Code report. But once the free trial is over, the only way to keep using the service is to pay Apple $10 a month. In an interview with Re/Code, Apple exec Robert Kondrk, who negotiates music deals alongside Eddy Cue, revealed the real numbers where this $10 monthly fee is going to go. Apple will pay music owners 71.5 percent of Apple Music’s revenue in the U.S. Outside the U.S. this could fluctuate, but will average out at around 73 percent. How much the musicians who wrote the songs will actually get depends on the contracts they have with the music labels and publishers who distribute their songs, the report pointed out. The total of around 70 percent will go to the people who own the complete sound recordings Apple Music will play and the people who own the publishing rights to the underlying compositions of the songs. Apple’s revenue split is only a few percentage points more than the industry average of 70 percent, which Spotify also says it pays. But Apple’s stance against free music streaming is supposed to reassure labels and artists that getting paid for allowing their songs to be played on Apple Music is more worthwhile than letting them be played on Spotify.